If the thought of tracking all your food seems daunting, you’re not alone. There’s research to show that tracking your food can lead to substantial weight loss, but it feels like such a chore that many people drop out before they can see any results. A new study published in Obesity aimed to figure out just how much time you need to spend recording your food and how frequently you need to do it to reap the weight-loss benefits. The results are in: of the study’s 142 participants, 90 percent of whom were women, the ones who lost weight spent an average of 23 minutes a day logging food in the first month. But by the end of the six-month study, they were taking just 15 minutes — and still losing weight. If 23 minutes still seems like a long time to spend tracking, take heart from the fact that it took the participants less and less time as the months went on. Researchers weren’t sure if this was because they got better and more efficient at entering their foods or because they simply stopped recording as much food as before, but the good news is that it might not matter. Previous studies have suggested that it doesn’t matter how detailed or comprehensive your tracking is or if it gets more abbreviated as time goes on; it might just be the act of self-monitoring, rather than the accuracy of it, that keeps your weight loss on track. In this study, participants shaved off an average of seven minutes a day over six months and continued to lose weight. It’s like starting any new eating or workout plan: difficult, inconvenient when you start, and easy to fall off the wagon. But consistency is key when it comes to losing weight, and the study proves that calorie tracking will only get easier over time. (If you’re just starting, this RD has five tips to help you out.) 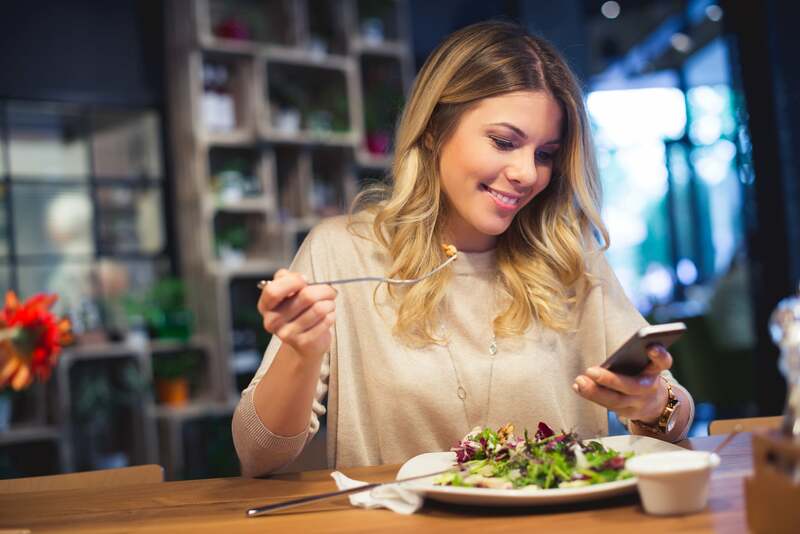 Set aside seven or eight minutes after each meal to log your food into MyFitnessPal or whichever calorie counter you prefer; you could even set a timer to keep it from taking too long. Including it in your meal schedule will make the tracking less annoying and help you stay consistent as the months go on and the weight loss starts rolling in.